Home » What is scalp cooling? 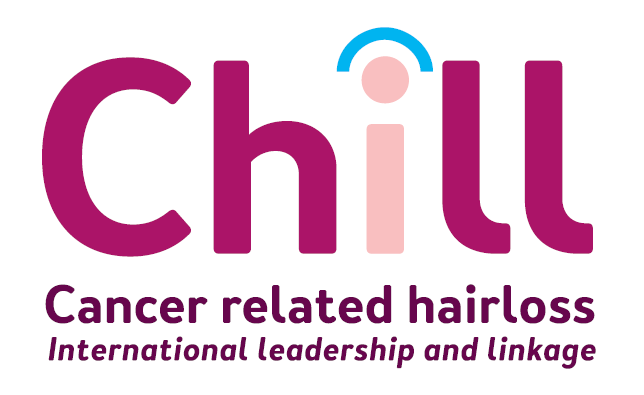 Scalp cooling is a way to prevent or to reduce hair loss for patients who receive chemotherapy via an infusion. Scalp cooling ensures that less blood with damaging chemotherapy chemicals reaches the cells that produce hair. This reduces the damage that occurs, and the hair continues to grow slowly. 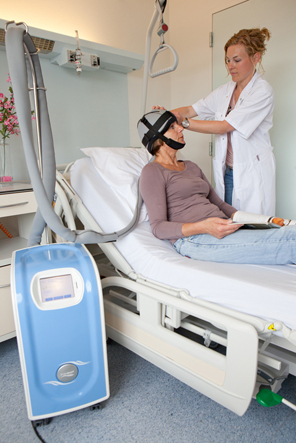 During scalp cooling, you wear a cool cap on your head. You wear this cap during the entire chemotherapy session when you are treated with an infusion. In addition, you wear the cap for another 30 or 45 minutes before the infusion begins and usually 90 minutes (range 20-150 minutes) after the infusion ends. The cap is connected with a hose to a cooling device. During the treatment, the cap can be disconnected so that the patient can go to the toilet.